You say – fear not, I am with you. You say – nothing shall separate us. You say – something of new heaven and new earth. You say – you are mine; I have called you by name. You say – my faithfulness will show concretely and will abide. our entitlement unsettled by your other children. Give us grace to hear your promises. Give us freedom to trust your promises. is your deep yes over our lives. It's almost Palm Sunday, almost Holy Week, and almost Easter. Which means in a little over a week, Lent will draw to an end. When I gave up social media for Lent, I knew it would draw comments from people that it's not that big of a deal. On the surface, it's kind of a shallow thing to give up for Lent. But here's the thing. It really is a big deal. Think about it. Think about why you use social media. Not on the surface, like keeping up with family or friends. But emotionally, what's your tie? I never really saw myself as someone needing affirmation. I've always felt pretty sure of myself, I never thought I needed someone to validate that I exist. But then I decided to spend 40 days cut off from on-line friends. Which may not seem like a big deal, but I'm by myself at least 15 days out of the month with Jeremy's work schedule. You try spending time alone, with no outlet to distract you from yourself. It's not fun. It's very lonely. And you'd think that perhaps during this time of loneliness that I would pray, or read my Bible, or just read. Instead, I think I've watched approximately 100 episodes of Supernatural. But you know, at least I've recognized that it is lonely being alone. On the flip side of the loneliness, I did discover that while I miss the interaction with folks, that also I don't miss it. When I first started using Twitter (seven years ago, when it was just a baby), I was in a really rough marriage. The folks on Twitter became my friends, my sounding boards, the place where I went when I needed to escape. Now that I am incredibly happily married, I don't really need it anymore (except of course when I actually do need it). I made actual friends on Twitter. People that I know in real life, and people that I actually spend time with. It's nice being affirmed but it's also nice being known by people. I've done a pretty good job of keeping in touch with my friends whilst being away from social media, but also, I've also seemed to turn into more a hermit, which really exacerbates the whole loneliness part. So basically, in the past almost forty days I've felt all the emotions. I'd say that I'm really ready for this to be over, but I don't know that I've done enough work for it to be over. This next week, during Holy Week, I intend to stop all my tv watching and do some real work. I'm sure there's much more to learn from this time. My official Running Comeback Tour commenced this past Saturday. I got up before the sun to drive to Candler Park to get a parking spot, meet up with my best friend, and run the Atlanta Women's 5K. It was the first race that I've run since breaking my foot in September. Oh yeah, did I mention breaking my foot. I did. The third metatarsal. All the way through. A bunch of weird stuff worked together to make that bone break. My knee was injured (which I knew and also didn't know) which made me use the wrong part of my leg, which made my ankle lock, which put so much pressure on my foot that the bone just snapped. And? It actually broke while I was on a nine mile run. It started hurting around mile 5, but I thought it was just a cramp so I just stopped, took off my shoe, stretched, and then kept going. I finished that nine miles. Then I went to the High Museum. Then I went shopping with my mom at the mall. Then I didn't walk the next day. But, I'm all healed now. I started PT back in December and then started my "back to running" training in January. I finished the Atlanta Women's 5K in just 30:55, which is just twenty seconds off my best time on that course. So, that was pretty exciting. And I got to run with a friend of mine who was running her very first every 5K (she did great, finished in just over 34 minutes, and 16th in her age group). And of course my best friend was there too. She and I ran the first mile together, then she told me to take off. It was so great being back to racing. I'm not incredibly competitive (slash not competitive at all) but I love being with runners during a race. The atmosphere of a race just gets my blood pumping fast. I even ran two of the miles under 10 minutes, which was huge because I hadn't run that fast since before I broke my foot. So, this was a big milestone in my healing from the break. Thank goodness for good doctors. And for the patience to actually follow the training schedule my doctor gave me. Next goal: sub-30 minute 5K (I'm looking at you Big Peach 5K!). 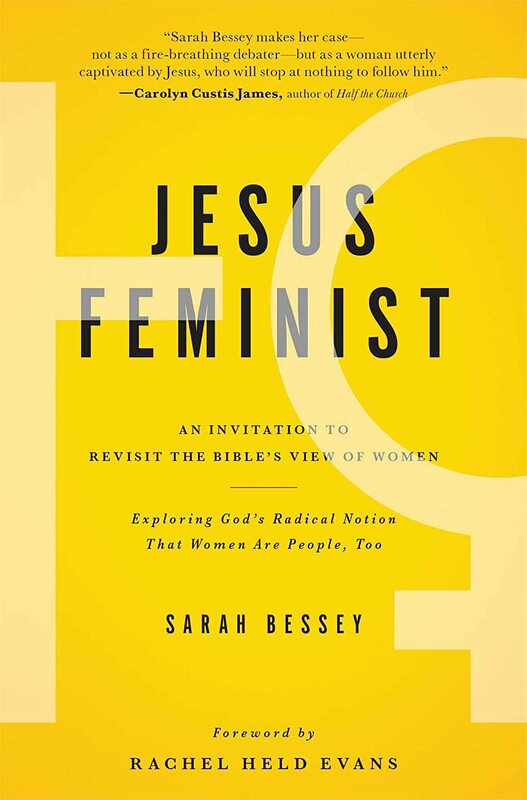 Remember how much I proclaim Sarah Bessey's Jesus Feminist as the best book there has ever been? Well, today, you can get the Kindle version for just $1.99 from Amazon! Go on over and get it. You really have no excuse. That's cheaper than a medium coffee at Starbucks! This book made me feel like Jesus loves me more than anything I've ever read (other than the Bible of course). The words were so incredibly freeing. I keep my paper copy beside the couch at all times just so I can pick it up and read it every time I sit down. I'm going to wear out my paper copy, so of course I went ahead and got the Kindle version too. So go grab a copy, even if you're a man. This book will fill your heart with joy. An 11:30 minute mile pace on my run this Saturday. Coming off an injury is super slow going, and that's almost 45 seconds faster than my usual. Mainly because my dear friend BBQ came to run with me and she's faster than me, but she slowed down to run with me and keep me motivated. She's pretty awesome and I'm so glad I met her. And BBQ are her actual initials which makes me love her even more. Seeing land that had been a total thorn in my friend B's side cleared for the first time thanks to our little band of misfits in Crop Mob. Fresh greens with pickled vegetables dressed with mustard vinaigrette and a pimento cheese sandwich after working all morning to clear brush and invasive tress (which do NOT come up with out a fight). A friend who rode all the way to Chattanooga and back in one day to go hear a band in concert that he didn't even know all because he knew I wanted to go and Jeremy had to work and I certainly couldn't drive all that way and back alone. Planning meetings for our Advent service. Yes, Advent, during Lent. It takes a long time to plan large events. Long naps on a rainy Sunday afternoon. Meeting a new person who was excited to meet me. I attended an anniversary celebration for The Homestead Atlanta. I walked up to a woman there and introduced myself as Amy. She said "OH, are you Amy Lastname?!!" I said, indeed that's me. She then proceeded to exclaim, "oh, I've been wanting to meet you forever. People always ask me if I know you and I always have to say no, but not any more, give me a hug!" The fact that Jeremy had the chance to go see a fancy pants airplane museum before it became a private attraction rather than a public one. He even got to meet the owner of all the airplanes and it seemed to make him incredibly happy, which made me incredibly happy. How about you? What are you happy about today? Jesus-loving hippie, city-living farm girl, couch-sitting runner, literature-reading sci-fi watcher.